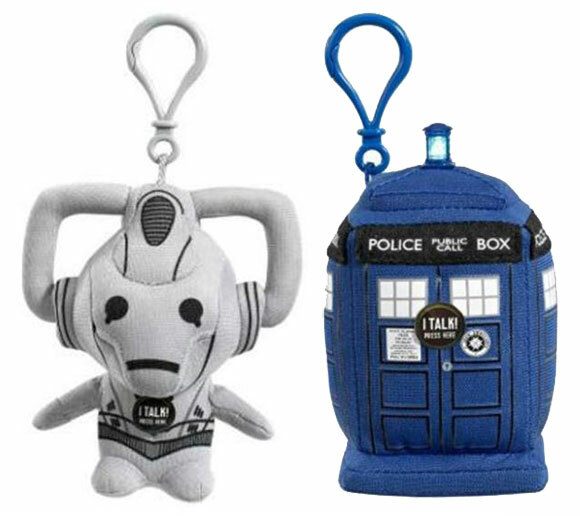 Underground Toys and BBC Worldwide today announced a worldwide licensing deal for the manufacture of Doctor Who plush toys in all territories. Underground Toys will begin shipping the toy line worldwide from June 2011 and the items will be previewed at London Toy Fair via their UK Distributor Gear 4 Games on booth E160. They will also be shown at New York Toy Fair on Underground Toys on booth 4933. Yes!! Wicked news, can't wait for some proper pics to come out. The first plushies make their appearance in August at Forbidden Planet - no Doctors as yet though. These ones make noises as well including 'Exterminate' & 'You are an enemy of the Daleks' (Daleks) & 'Vworp Vworp' (TARDIS). 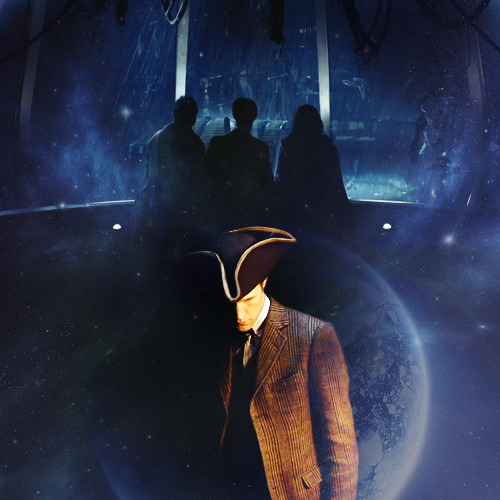 The light also works on the top of the TARDIS. OMG How did I miss this thread? That Jan post is adorable!!! 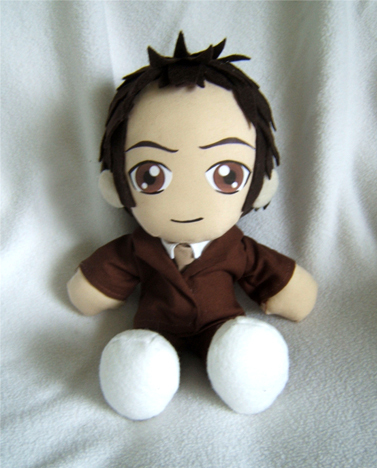 OK, bags me a Raggedy Doctor plushie. He can sit on the printer alongside my Chthulhu plushie . A set of mini plushies are on the way, some of them with voice abilities, but at the moment it seems like they may only be in the US. They can even be attatched to your keyrings. I really hope they get a UK release at some point. I want a Cyberman. How cute is that! What does it say? Is it just exterminate or are there a couple of phrases? Yeah it says "Exterminate, exterminate" & also "You would make a good Dalek." I'm tempted to get a TARDIS one. God knows what that would say though. I'm guessing it makes the "Vworp vworp" noise, but I can't think what else it would do. Cloister bell maybe?! Vworp vworp would have been my guess too. Yellow Dalek Plushie will be available from April 3rd priced at £14.99 PO/£16.99 RRP. It's nice to see a different colour. 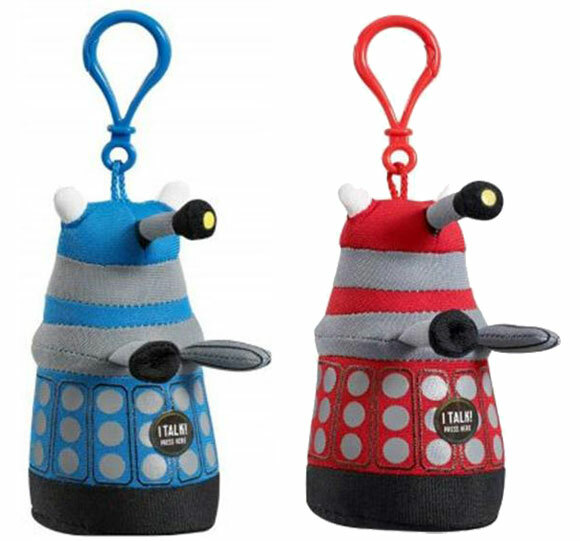 All the Dalek stuff seems to focus on the red one. I want a yellow Dalek plushie. Or blue. Or green or purple, which is unlikely.